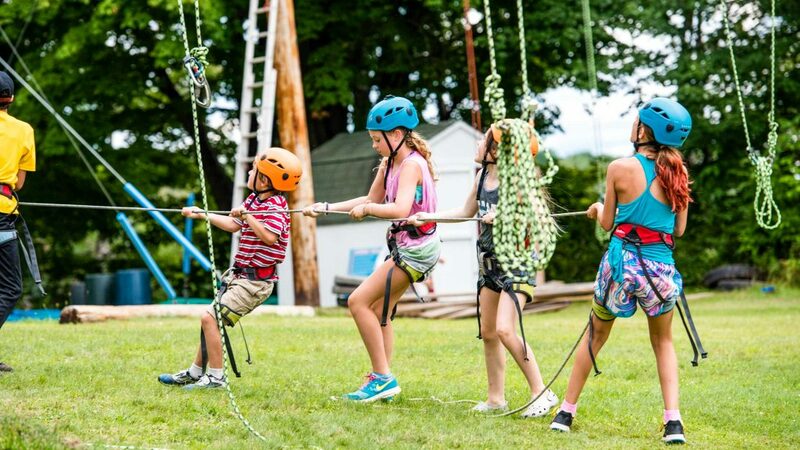 Get ready to race your friends on the two zip lines and then work together on the Friendship ladder challenge! 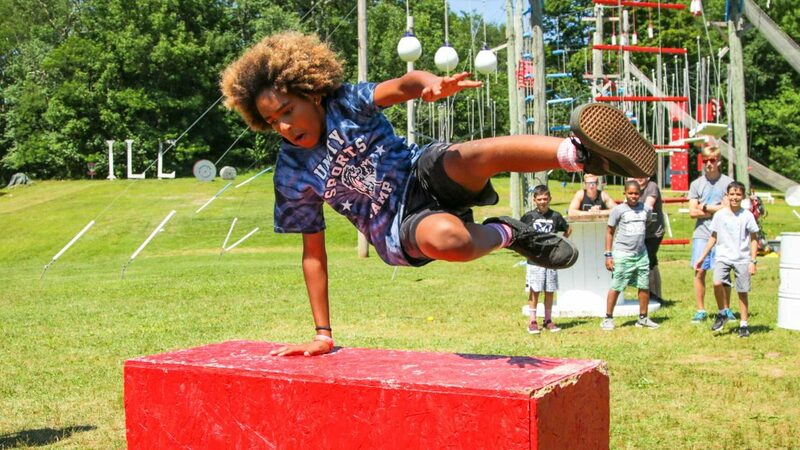 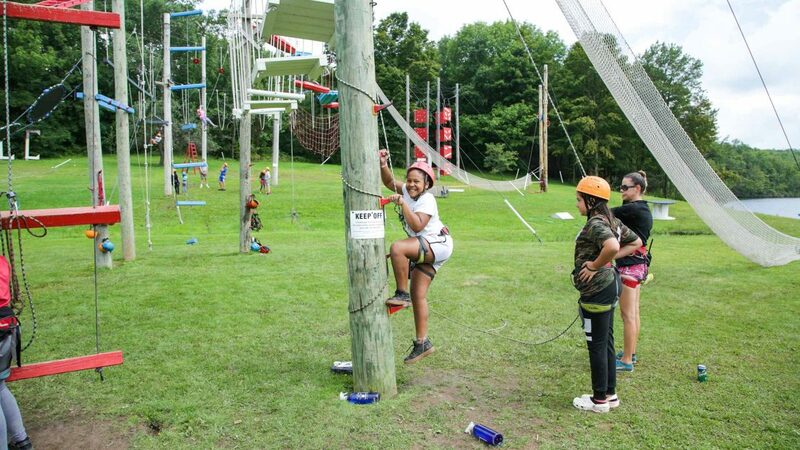 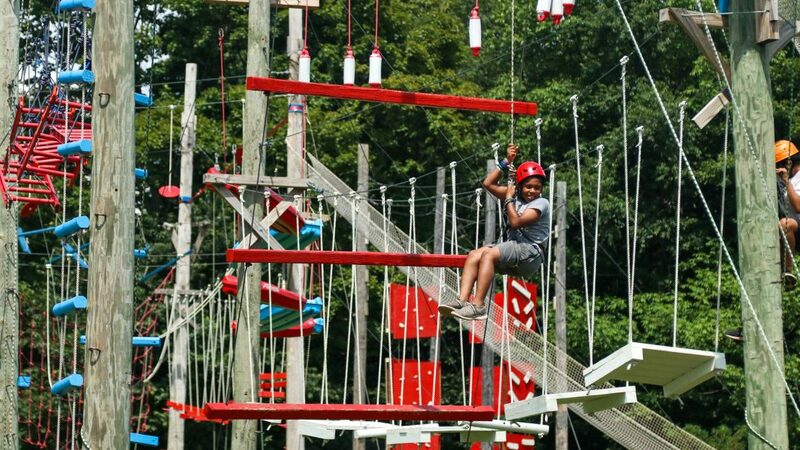 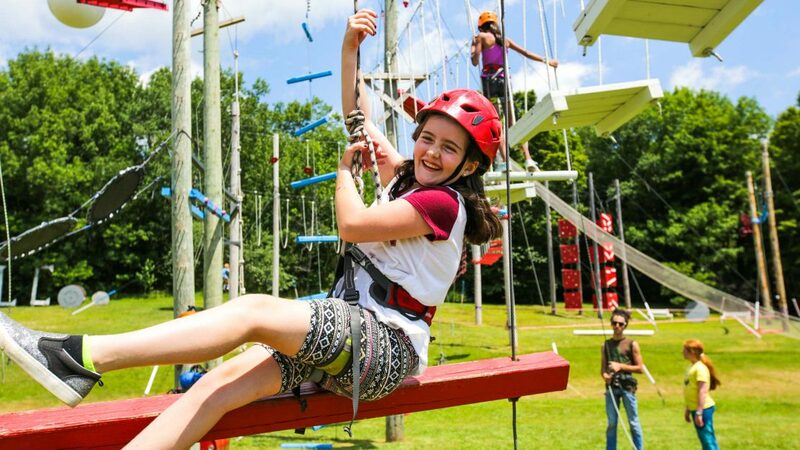 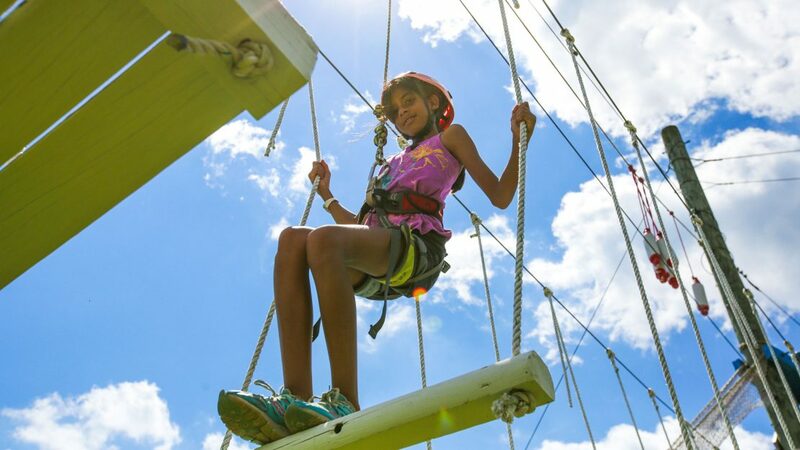 The Aerial Adventures outdoor course is a complex of high ropes elements including Climbing Wall Tower, Earthquake bridge, Cargo Net, Monkey vines, Pirates crossing, & of course the rush of the Giant Swing & Leap of Faith. 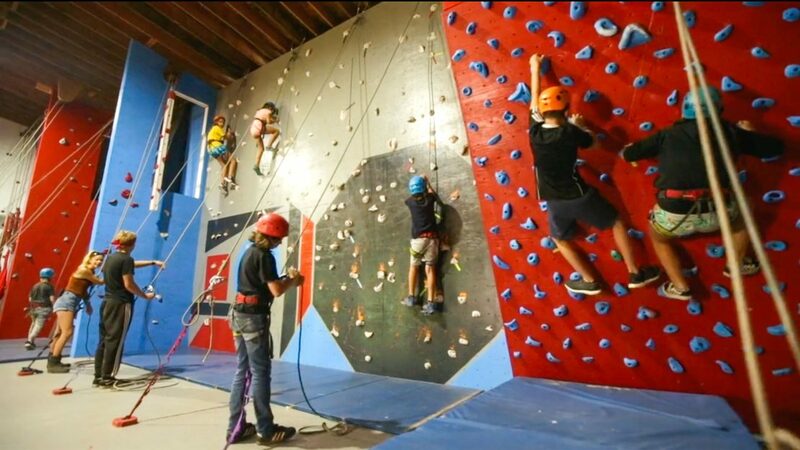 Harness your inner ninja warrior to get through the obstacle course of wrecking balls, boxing bags & flying discs.